My hand-print jewelry from @silversculptor is beautiful! The last few months have been a bit hectic, so I hate that I was not able to share my new found love of Silver Sculptor's jewelry for Mothers Day. Let me tell you this though, just because Mothers Day has passed, it doesn't mean that you can not give a WONDERFUL gift of love. You could give it as a gift "just because" or for a late Mothers Day, this is a gift that needs to be given! Don't just stop at moms either... They have great gifts for dads and the grandmother of my children (my mom) has been asking me for mine, so like I said... NOT JUST FOR MOMS! Okay, so let me tell you more. 1) Your Span of Control is Limited In the perfect world, every child would have a designated adult supervising them at the beach or pool, but two children is a comfortable number for one adult to supervise. Any more can become overwhelming and increase the risk of something going wrong. What can be more Southern to a girl from South Georgia than BBQ Picnics and Comfort food? Krystal is going back to my roots with a great giveaway for one lucky follower! In celebration of their "Country Fried" menu, that you all need to go and check out! FTC Compliant Review Policy: The product(s) featured in this review were provided free of cost to me by the manufacturer or representing PR agency for the sole purpose of product testing. Opinions expressed are my own and are not influenced by monetary compensation. Summer time is about fun and relaxing from school, at least it is in our house. This summer we are changing things up a bit (in more ways than one, but that is neither here nor there.) My mom thought a great thing to do would be to make a "coupon book" for Broxton for different things to do over the summer. What all is included? Well, there is movie night, bike rides, grilling, going to the library and more. It has been fun for all of us and it keeps the "boring" days fun and even educational! 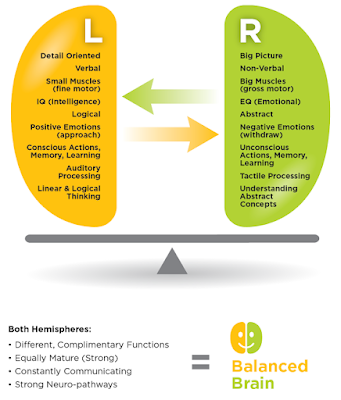 So I partnered with Brain Balance—a drug-free, holistic approach to addressing the challenges of behavioral, social, or learning disabilities—to try some of their summer activities, and to share a little bit about their philosophy. And let me tell you, their activities actually work. I'm so excited to keep this momentum going into the summer!